Recruitment Agency Expo 2019 our best ever! Taking place on 5 – 6 February 2019 at Olympia London, the Recruitment Agency Expo conference programme brought together the latest thought leadership, practical peer-to-peer learning and inspirational stories from established business leaders so that the leadership of new and established Recruitment Agencies can grow and transform their business, based on best practice. Every year has seen this event go from strenght to strength wth more and more premium suppliers exhibiting and offering help and advice. 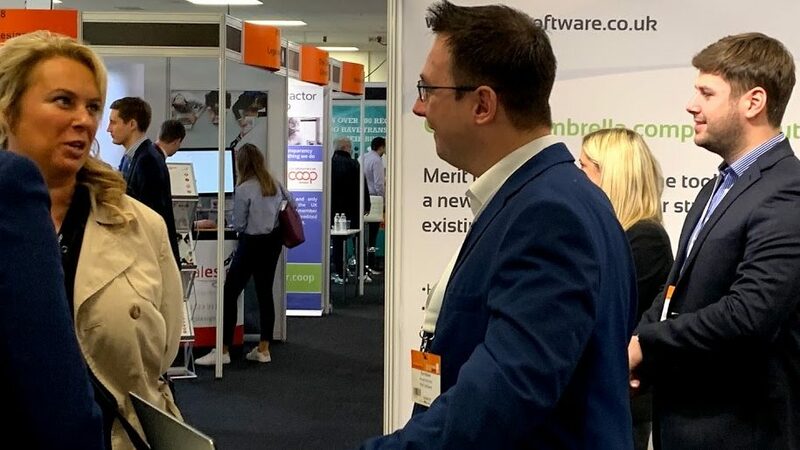 The Recruitment Agency Expo has become a firm fixture in Merit Software’s annual conference calendar and provides the perfect opportunity to market its award-winning payroll software to recruitment professionals and meet with valued customers from across the UK. “This was Merit Software’s 5th year in attendance at the Recruitment Agency Expo. The event provides us with a valuable opportunity to meet new prospects that are seeking to implement a new payroll software solution and network with some of our integration partners”.